Granbury and the surrounding areas are a beautiful place to live. We like to think that our town is the perfect combination of small-town-Texas with a large, strong community full of kind people. That’s why it is sometimes surprising that in Hood County alone, the poverty rate is a whopping 10.3%(1). 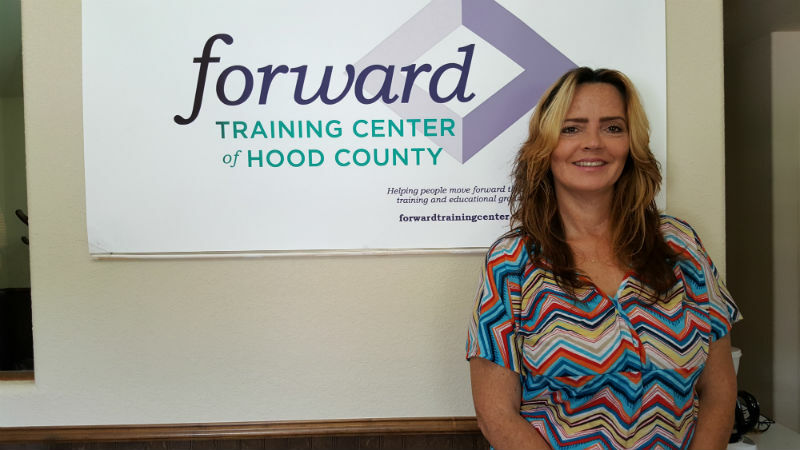 Forward Training Center of Hood County is a 501(c)(3) nonprofit located in the heart of Granbury that exists to give back to those who need it most in Hood County – the people who just need to get back on their feet, realize their self-worth, and gain the skills and networking capabilities to accomplish their dreams. We want everyone in poverty to be able to break the cycle, and we believe it’s possible through our programs. 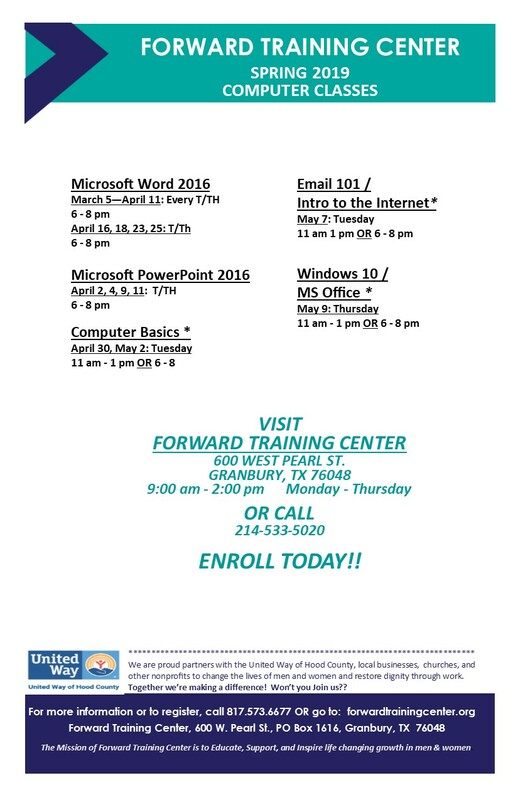 Through a community of teachers and mentors, free Faith-based programs to gain extremely valuable skills (like a GED), child care opportunities and even mock-interviews with real business owners in Granbury, the Forward Training Center is one of the organizations in the Hood County community that helps break the cycle. Hundreds of graduates have gone through the successful programs at the Forward Training Center. One of which is Angelique, who came to the Center after a traumatic experience, feeling as though nothing was left to do. After joining one of the programs at Forward Training Center, Angelique gained that sense of self-worth and empowerment that was always there, along with the skills to help her get back on her feet. The Forward Training Center of Hood County is only possible through selfless volunteers giving their time, and donors who believe in the program and what we do. If you know someone who may be interested in our programs, please encourage them to come for a free tour and discussion. If you or someone you know may be interested in volunteering or giving, give us a call at 817-573-6677.